Swine are supposed to be one of the smartest species of fauna on the planet. 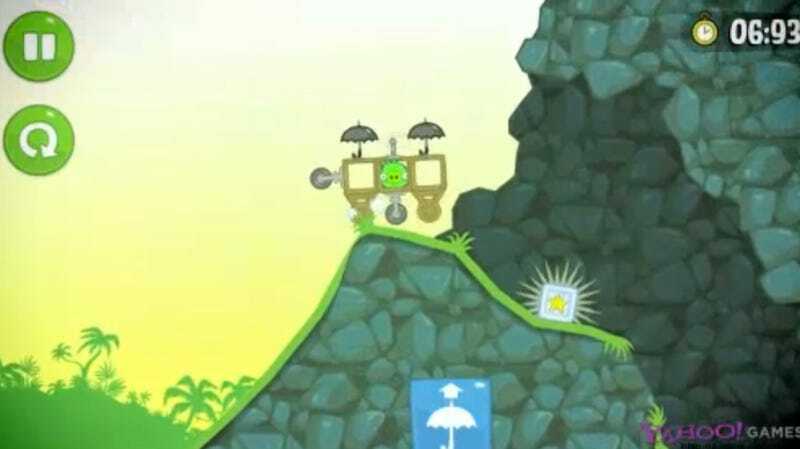 So it makes sense that Bad Piggies--the next big game coming from Rovio, the dev studio who created the hit Angry Birds franchise—will have players trying to be mad scientists who create all sorts of insane transportation to get from point A to point B. The clip below shows off the gameplay from Bad Piggies, and the build-a-crazy-thing mechanic recalls Banjo & Kazooie: Nuts & Bolts as well as their more recent Amazing Alex release. The game's out next week for iOS and Android, with Windows Phone 7 and PC versions on the way, too.